Here is a comprehensive guide to the NCAA tournament and its history, for college basketball fans of every level. When did March Madness start? The first NCAA Division I men’s basketball tournament was in 1939, and it has been held every year since. In 1939, the Oregon Ducks went 29-5 on the season and beat Ohio State 46-33 to win the national title in the first NCAA tournament. When did March madness expand to 64 teams? The 1939 tournament featured just eight teams. In 1951, the field doubled to 16, and kept expanding over the next few decades until 1985, when the modern format of a 64-team tournament began. In 2001, after the Mountain West Conference joined Division I and received an automatic bid, pushing the total teams to 65, a single game was added prior to the first round. In 2011, three more teams were added, and with them, three more games to round out the First Four. March Madness was first used to refer to basketball by an Illinois high school official, Henry V. Porter, in 1939, but the term didn’t find its way to the NCAA tournament until CBS broadcaster Brent Musburger (who used to be a sportswriter in Chicago) used it during coverage of the 1982 tournament. The term has been synonymous with the NCAA Division I men’s basketball tournament ever since. What is One Shining Moment? One Shining Moment is the anthem of March Madness. The song was written by David Barrett in 1986, and first used for the NCAA men’s basketball tournament in 1987. After each tournament, the song accompanies a montage of the best moments of March Madness, from every buzzer beater and major upset to reactions of the fans themselves. Barrett wrote the song as an ode to basketball, but it was first scheduled to run after Super Bowl XXI. After the coverage of the game ran long, the song never aired for the Super Bowl, but CBS producer Doug Towey used it in the following March Madness, where it has lived ever since. Is the NIT part of March Madness? No. While the National Invitation Tournament (or NIT), is operated by the NCAA, it is separate from the Division I men's basketball tournament. The NIT was actually founded before the NCAA tournament, in 1938, but did not become as popular as the NCAA tournament. The NIT's field is usually made up of the top Division I teams that did not receive an invitation to the NCAA tournament. What is the biggest upset in March Madness history? This one isn't close. That'd be 16-seed UMBC's 74-54 win over 1-seed Virginia in the 2018 NCAA tournament. It was the first time in the history of the tournament that a 16 seed beat a 1 seed, after the 1 seeds were a perfect 135-0 through college basketball history. Hard to find a bigger underdog than that. 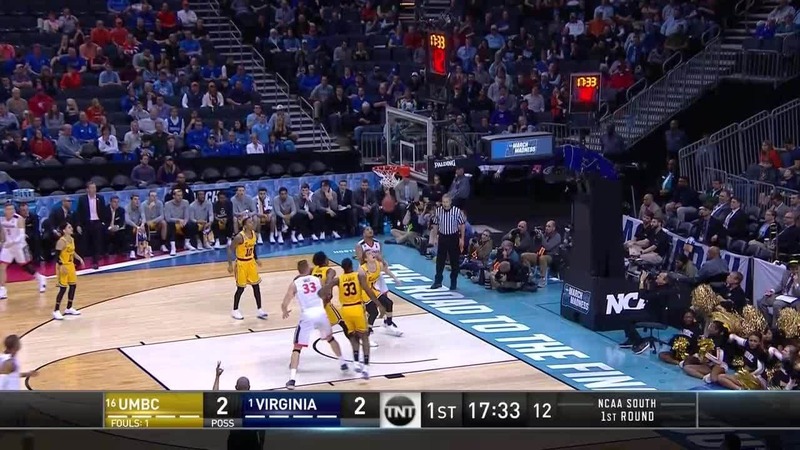 The 16-seed upset was seen as virtually impossible, and not only did UMBC pull it off against the top overall seed of the tournament, the game wasn't even close, with a final margin of 20 points. That'll get you to the top of the list of March Madness upsets. What is the biggest March Madness comeback? With 6:37 left in the first half of a 2001 NCAA tournament game, Duke trailed Maryland 39-17. The Blue Devils would rally to win 94-84. That 22 point comeback is the largest in the history of the tournament. Strangely enough, Duke is on the other side of the runner-up, as the Blue Devils blew a 18-point first-half lead against Seton Hall in 1989, as the Pirates eventually won 95-78.
Who has scored the most points in March? Christian Laettner is the player who has scored the most points in an NCAA tournament career, with 407. From 1989 to 1992, Laettner played in an unprecedented 23 NCAAT games (reminder, one team can only play six games per year if they make it to the title game, i.e. 24 total throughout a four-year period), while averaging 17.7 points per game. Oscar Robertson's entry on that list is especially impressive, as Robertson played less than half the games that Laettner did, but finished with 80 percent of Laettner's point total. What is the highest scoring March Madness game ever? The highest scoring game in NCAA tournament history came on March 18, 1990, when Loyola Marymount beat Michigan by a final score of 149-115 to total 264 points. That score is miles ahead of the second place total of 234, also set by Loyola Marymount. Who scored the most points in a March Madness game? Notre Dame's Austin Carr holds the record for the most points in an NCAA tournament game, with 61 against Ohio in 1970. Carr was a machine for the Fighting Irish and owns three of the top five single-game NCAA tournament scoring performances. To get an idea of how impressive his performance was, we rewatched that game to see how Carr scored every one of his record-setting 61 points. What team has the most NCAA tournament appearances? There have been 80 NCAA tournaments since 1939, and there are five schools that have been to more than half of them. Kentucky has the most NCAA tournament appearances with 57, followed by North Carolina with 49. What team has the most NCAA tournament wins? Again, it's Kentucky leading the way. The Wildcats have 126 NCAA tournament wins, for an average of 2.2 wins per appearance. The Tar Heels are right behind with 124 wins, or 2.5 per appearance. Who has the most NCAA tournament championships? Which head coach has the most NCAA tournament wins? That would be Duke coach Mike Krzyzewski, who picked up win number 94 in the 2018 tournament. That's 17 wins ahead of the second-place coach — North Carolina's Roy Williams. How can I find more March Madness records? You can find the most recent March Madness record books on NCAA.org. The Final Four record books are here and the NCAA men's basketball records are here.